We’re bombarded with advertisements each time we leave our houses, so it takes some creativity to make people notice a billboard or an advertisement. 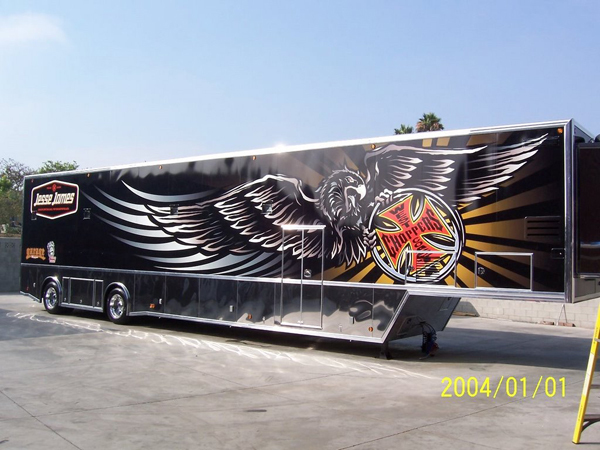 If you’re searching for a dynamic option for marketing your company’s products, you’ll want to think about getting mobile billboards designed by SkinzWraps. 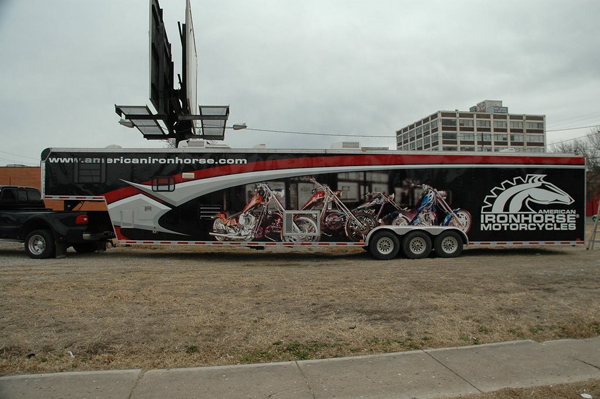 From local, niche advertising to mainstream publicity, mobile billboard advertising is appropriate for any vehicle from a recumbent bicycle with a trailer to a full-size truck and a massive sign. Get your advertising in front of the eyes of your customers by bringing the advertising to them with mobile outdoor advertising and car wrapping designed by SkinzWraps. 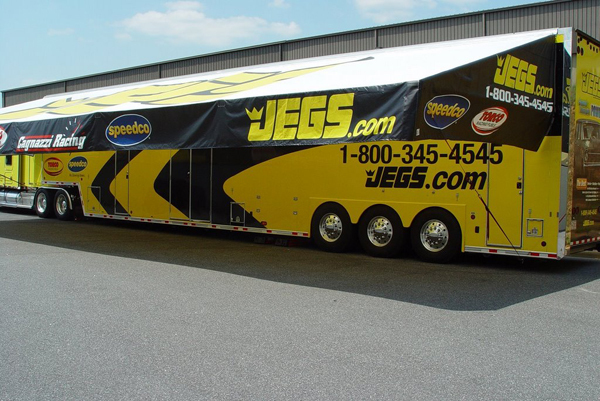 If you’ve ever had a vinyl wrap designed for a fleet vehicle, you know how valuable mobile advertising is as far as its return-on-investment. A mobile outdoor billboard is another effective option because it means you can bring your advertising where the crowds are instead of hoping your stationary billboard is seen by the right people. Imagine there’s a street fair happening in your city, but the billboards and other advertising opportunities close to the venue are sold out. How do you take advantage of the crowds of people that attend the street fair? You might consider something as simple (and effective) as a promo-bike where someone rides around the street fair with a mobile billboard attached to the back covered in one of our vinyl car wraps. 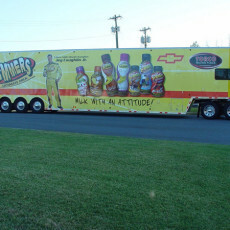 Mobile billboard advertising is particularly effective as a temporary advertisement or time-sensitive announcement. Maybe you own a bar, and you live in Miami. Catch the eyes of the crowds as they leave the beach with an advertisement about drinks after dark. Or, perhaps you own a bicycle shop. 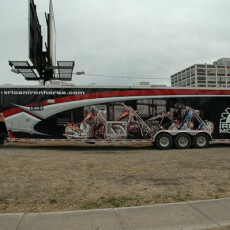 Park a mobile billboard with a vinyl wrap in Dallas along the course of a local triathlon. Our dedicated graphic designers and installation techs have created some truly stunning mobile ads for clients, and we can work with you, too, on an advertisement that gets the point across in big, bold fashion. Even if someone only sees the billboard for a few seconds, we’ll make sure your message is loud and clear. Good design makes a huge difference in advertising, and we’ll help make sure your mobile billboard is clear and effective. 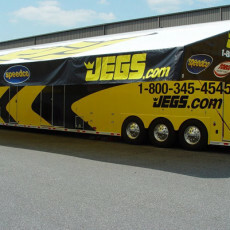 How Much Do Mobile Billboards Cost? We’ll share our knowledge of mobile advertising and help you choose the best size advertisement for your needs and budget. Maybe a large-scale mobile billboard set to drive around the city at rush hour is your best bet. 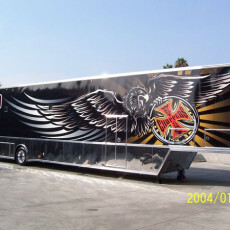 Perhaps a smaller mobile billboard that can weave around crowds is the way to go. 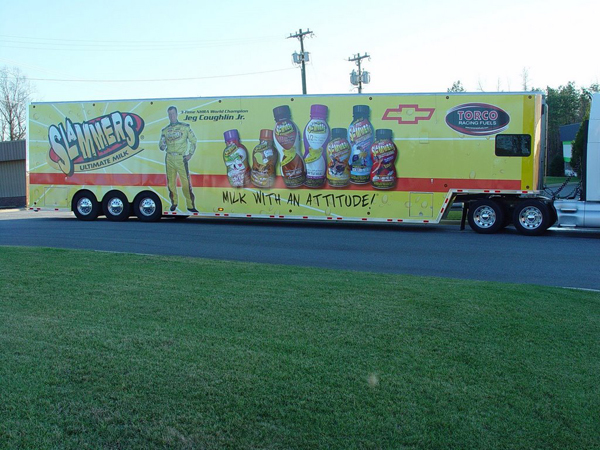 Let us put our design expertise to work for you with a vivid and memorable mobile billboard.